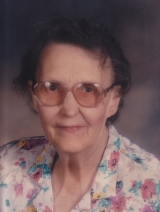 Edna Nicholson View Condolences - Parkhill, Ontario | M. Box & Son Funeral Home Ltd. I am so sorry to hear about the passing of your mother. She was a wonderful lady.My prayers and thoughts are with you and your family. Condolence: Karon, Gerald and family -thinking of you all in the loss of your mom and grandma. She was a very nice person who always had a hello. Condolence: Thinking of you in your time of sorrow. Our thoughts and prayers are with you! Condolence: Edna will be missed. She was such a sweet woman and a wonderful neighbour when we were growing up. Our thoughts and prayers are with your families at this time. Condolence: My sincere sympathy to Edna's family.She was a sweet woman. Condolence: To the Nicholson Family. Sorry to hear about Edna, Our thoughts and prayers are with you.